On Sunday, we start a little later and spend the day wrapping up everything learned during pre-recruitment. 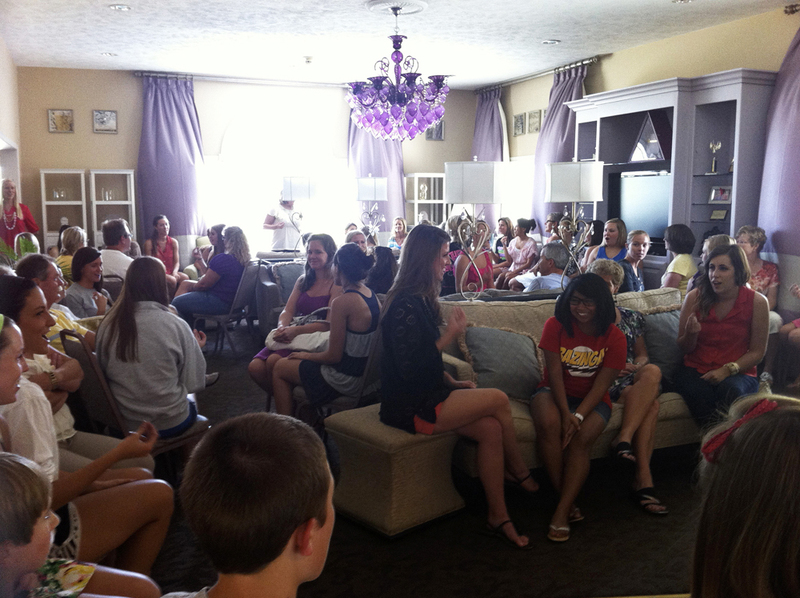 This year, we asked family and alumnae to join us for some mock recruitment events. It was a great way to practice while showing the families just exactly what their daughters are so busy doing. Alumnae enjoyed seeing how well the members were doing, and it was so cute to see moms, dads, sisters and even little brothers engaging in conversation and being great sports. I think it was a success!